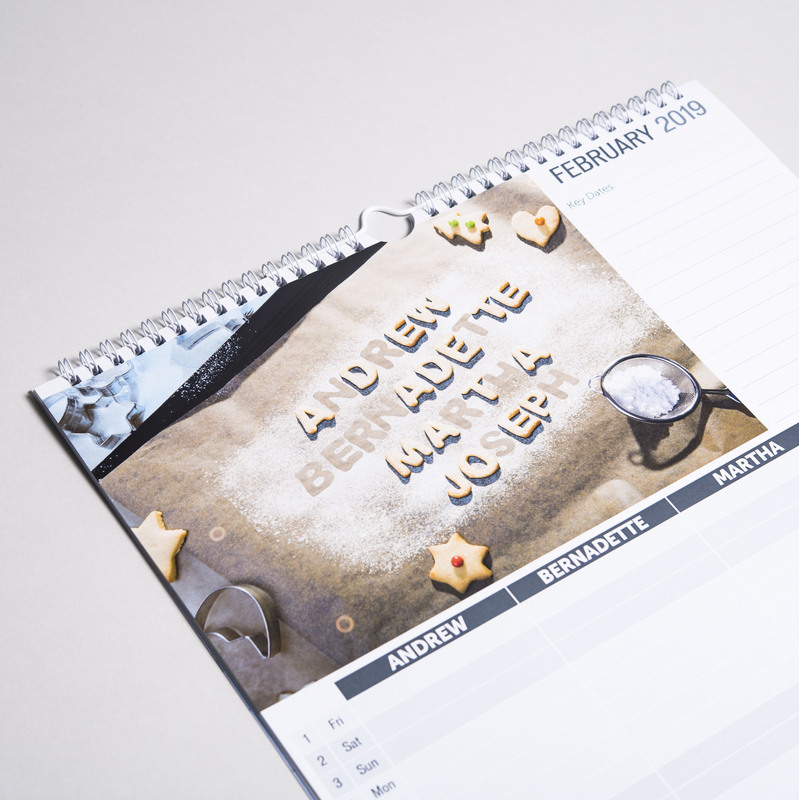 Spot their names on every page! 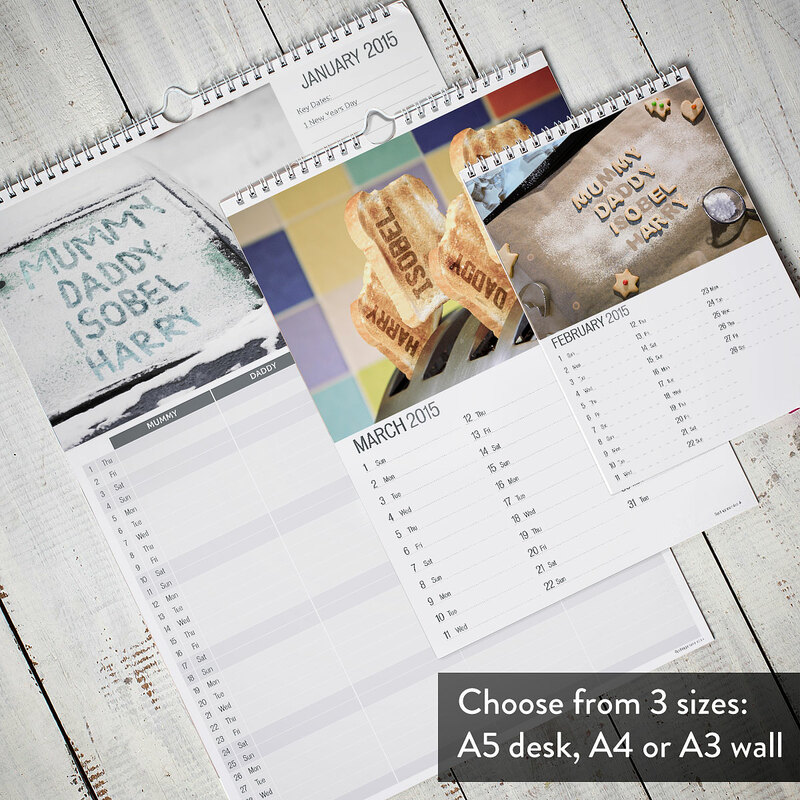 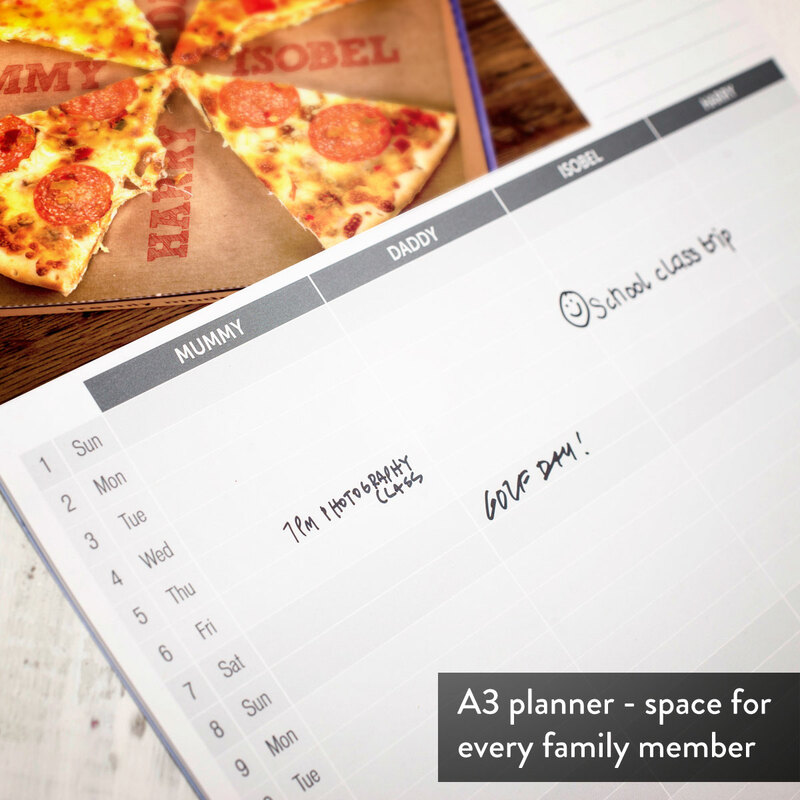 Help the whole family get organised with our personalised calendar! 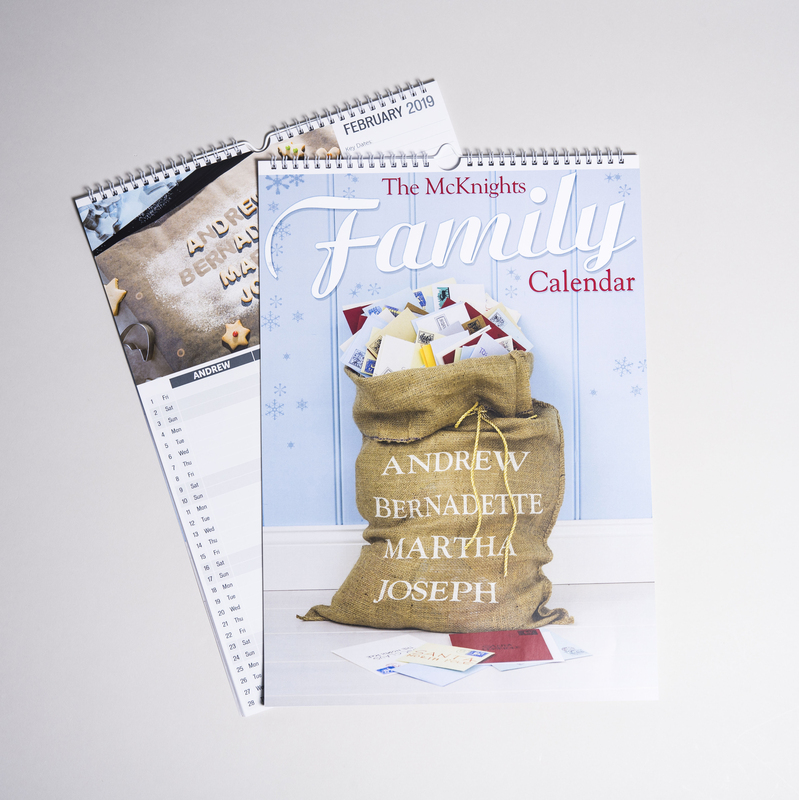 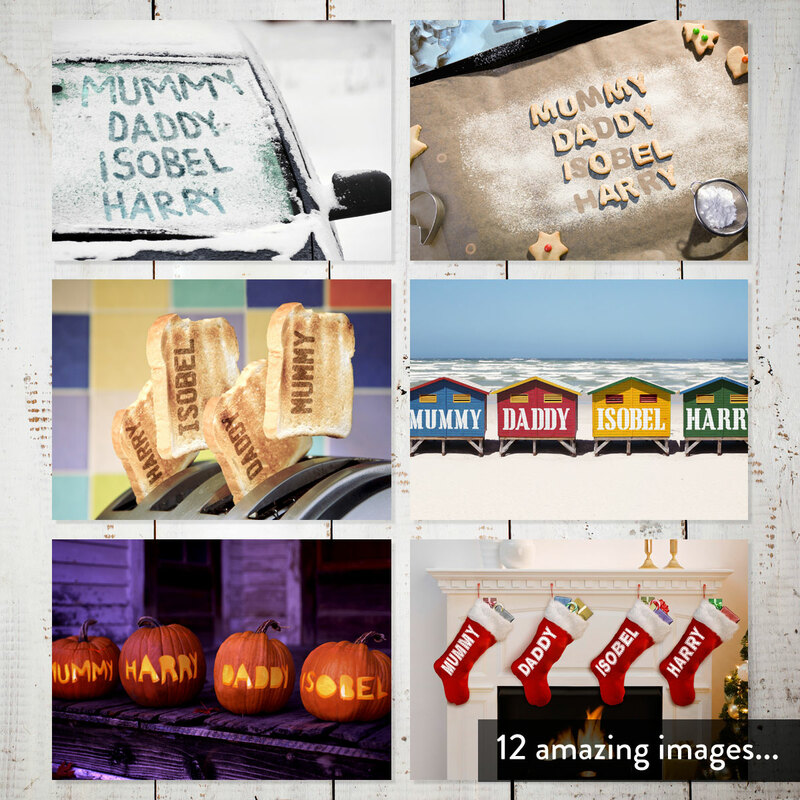 Perfect for a family of up to six members, each month features a new image personalised with all of their names for a unique, year-long gift that puts them in the starring role on every page! 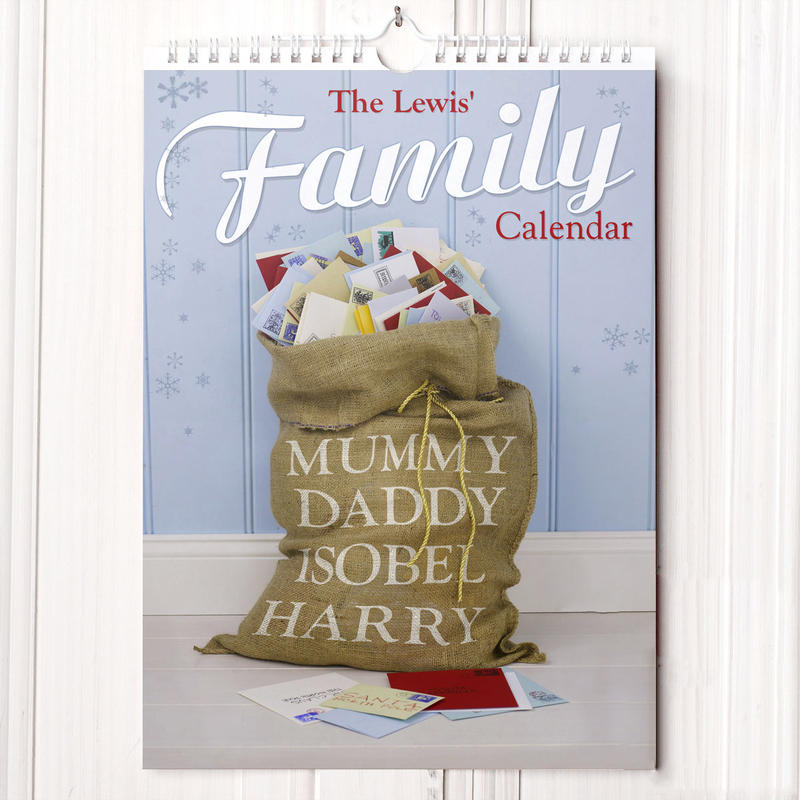 The cover of the calendar features a sack of letters, with each name being printed on the sack. 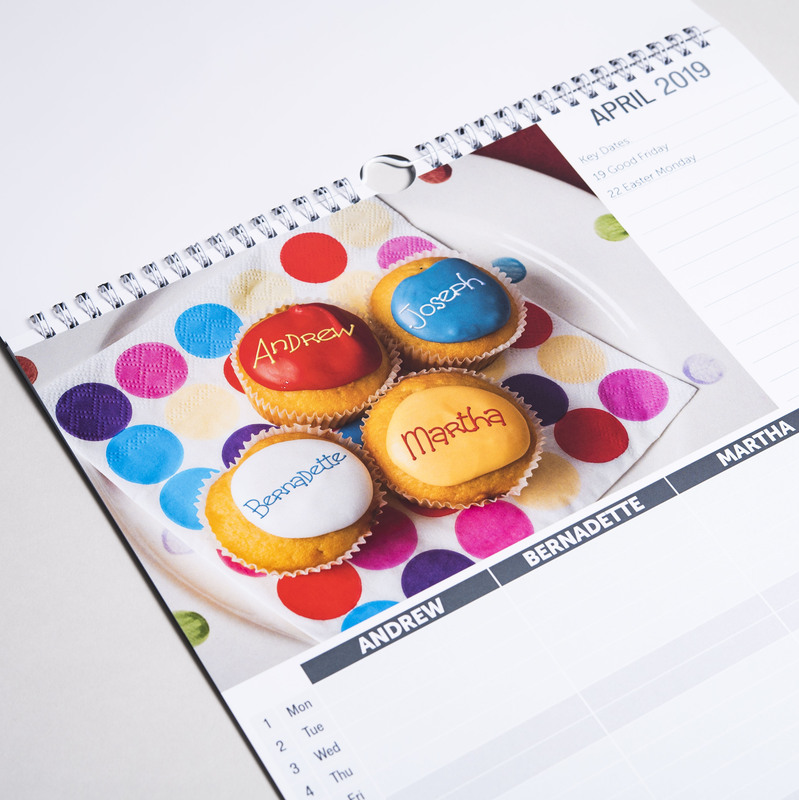 Turn each month of the calendar to see their names emblazoned in fireworks across the London skyline; written on the box of a yummy takeaway pizza; spelt out in icing on colourful cupcakes; on toast soldiers dipped into lovely boiled eggs, and many more!